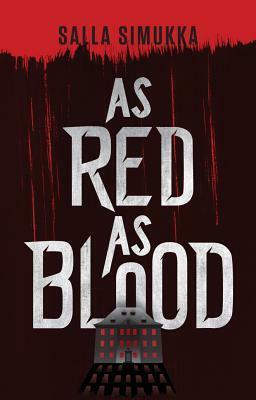 Synopsis: In the midst of the freezing Arctic winter, seventeen-year-old Lumikki Andersson walks into her school’s dark room and finds a stash of wet, crimson-colored money. Thousands of Euros left to dry—splattered with someone’s blood. Review: I admit that I was really curious to learn more about this novel once I heard about it. I read a lot of novels from foreign authors, but a Finnish writer is a first for me and I was eager to find out how the book was going to be. I always think that the Nordic writers are able to manage and create a totally unique atmosphere and I wanted to find more about this one. In any case I had a good time with this first volume. Lumikki is a 17 years old girl who has not asked anything to anyone and who hopes to continue her studies in tranquility. However, her life will be turned upside down when one morning, going in the darkroom of her school, she discovers many 500 euro billets, expanded everywhere, and water tanks filled with blood. All this could have stopped here when later the tickets go away when she returns but it is not counting on the curiosity of the young girl who finds herself mixed up in this story. When a girl from her class, Elisa, herself intimately linked to the problem, asks for help, Lumikki can not refuse and that’s where the downward spiral begins for our young heroine. Between mafia, murder, drugs, kidnapping, our heroine will really have many things to do. I took a great pleasure in discovering this dark story and to see the links of the characters with the mafia. Lumikki herself is a really intriguing character. We do not really know a lot about her past or what has made it what she is today but she has some unusual capabilities interesting to discover. She tries to let things behind her, to act like if nothing was touching her and yet she is a person with a big heart and who does not hesitate to put herself in danger for others. She will be propelled into a world she does not know about and despite all that is happening, she confronts the events as best as she can. We discover other characters in the story, three will be recurring. But it is true that it is Elisa who was the ones who affects us the most. She is not really a very smart girl, but she knows that what’s happening is not normal and that something must be done. She thought to live a perfect life but she will realize that everything is off the mark and we can only sympathize with her. At the same time, she does not hesitate to endanger Lumikki, and to ask her for help without realizing the impact it could have on the girl. We also have two other boys, but I’m less attached to them as they do not really have a big impact on the story so I prefer not to talk about them. In all cases this novel was a pleasant surprise. A rather dark story, and yet it takes us from beginning to end. Speaking of ending, I have to say that I’m quite intrigued by the new track that is looming for the future and I’m curious to see more about it. This entry was posted in Lumikki Andersson, Salla Simukka, Thriller. Bookmark the permalink. Wow, well that got my attention. I am a sucker for a dark story. oh this one is a win for that! yes it’s a little bit like that, true. The first thing I thought when I read that synopsis was, would she try to spend the money? Can you even spend money that has blood on it? Probably not! Is that a weird train of thought to have after reading that synopsis?! it’s not really about that because they’re too afraid but they washed them. I didn’t know that washing would work on that. You have me very curious. I love the set up and want to know what happens! We definitely need to read more books like this. I have quite the fascination for mafia us to and they are the kind of criminals that I prefer to indulge in ask him paired to motorcycle gangs And the like. Adding this to the wish list! I agree, I think it’s really interesting too. I don’t know why I haven’t read more like that. oh you should try it, I’m curious to compare with you and see what you think of it now! I have this. but sadly have not gotten to it! I love the dark sound of the mystery and the icy atmospheric sounding setting. I’m glad you enjoyed this one Melliane 🙂 I need to back and check out my copy! I hope you’ll try soon so I can compare with you and see what you think of it! Oh I love how this one is by a finnish author! How cool is that?? I’m not really in the mood for a darker book right now but when I am i’ll probably put this one on my list since I need something different 🙂 Lovely review Mellanie! I’m glad if I made you discover something new! I am kind of liking that this is a darker read and from an author you haven’t tried before. Great review and have a nice weekend! This author’s work reminds me of John Lindquist’s horror novels. There is something about their writing that brings out the sinister elements of a story so vividly. Definitely want to read one of hers now, too. it’s not horror, more like a thriller. But I totally agree with you on that point. Oooh! This sounds amazing! I really appreciate a good dark mystery! Sounds very intriguing! I haven’t heard of this one and now I’m curious. I do like a gripping dark novel. Brilly review! it’s nice to have something different! Where in Finland does it take place? This sounds like a unique mystery. My first thought was how do you wash blood off money. I like where the main character is a good person. It sounds like it wrapped things up well, but left enough to make you curious for the next book? wow that does sound dark, I haven’t really been into dark stories lately but it still sounds good. Sounds like a my kind of read, adding it to goodreads to read shelf! 🙂 Loved the cover!